You’ve been blogging for 6 months or less and you’re trying to make money with your blog. You see others do it. But, for some reason, you’re not rolling in the dough and making enough to splurge a little on yourself. You might be thinking you’re the only one failing at this; you’re not. Only 5% of all bloggers earn a full-time income from blogging. Ouch! That’s hard to read and realize. It’s a small percent, but it doesn’t mean it’s never going to happen for you. It will. I’ve been blogging for more than 3 years. I have and started different blogs and different ways to make an income as a stay-at-home mom to twins. So, how can you turn this all around and be in the 5% of bloggers? Here’s what you need to do to start earning consistent money with your blog. There are a lot of reasons why moms start a blog. For me, I started Twins Mommy because I wanted to blog more about being a work-at-home mom. I’m also a freelance writer and on my freelance writing blog, I couldn’t really express the challenges I faced working from home and taking care of twins. Teach others what you’ve learned? Inspire others with your story? Get your creative juices flowing? See if you can earn some income? For me, my why changed a bit once I changed the content on this blog. Instead of focussing on WAHM’s, I pivoted to mom bloggers trying to become mompreneurs (start an online business). My ‘why’ then became a way to teach and inspire other moms that they can start a blog and create a business so they can stay home with their little one. 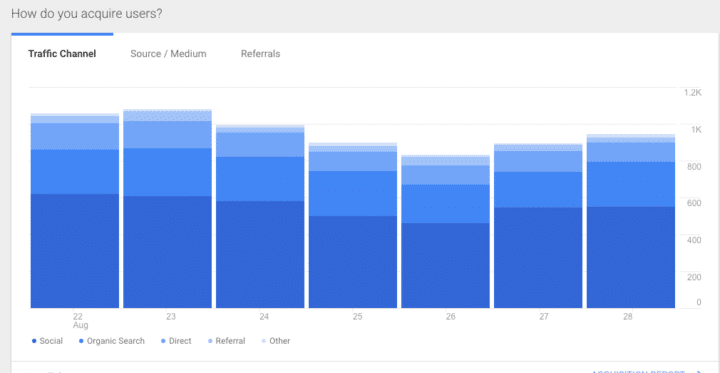 Google Analytics is a free tool to help you figure out where your audience is coming from and which content is resonating the best with your audience. It also provides rich information about your traffic source and pageviews. By knowing where your traffic comes from, you can tailor your promotion. Go to Acquisition > All Traffic > Channels > Social. For example, Pinterest is very visual, so having gorgeous images and fancy fonts for your pin graphics is important. If you see that Facebook is your biggest traffic driver, then you can create a Facebook page and share native posts like Facebook lives. You can also share tips on your Facebook page with an image. These types of native posts (with no links but does have an image) reaches much more people to help you grow your brand. If you’ve been blogging a few months, you can go back to Google Analytics to see how your content is doing. Go to Behavior > Site Content > All Pages to get a snapshot of popular posts. Right now, my most popular posts concentrate around making money and growing your blog. Based on this I can create more content about these topics – which I have, find affiliate programs in these niche topics or create a product like a course on these topics – which I have. 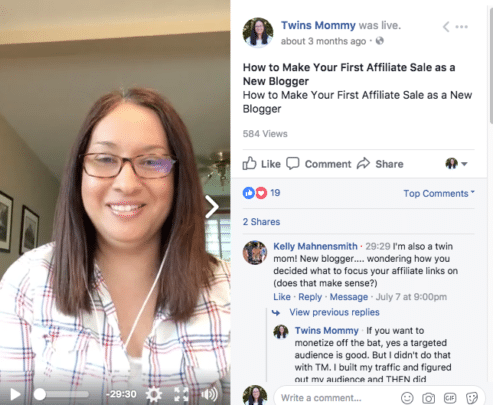 Is affiliate marketing the only thing you’re doing to monetize your blog? While you can generate income this way, it’s not sustainable and can be a challenge. Instead of relying on one source of income, try having multiple income streams. When I first starting generating income, I had a service-based business – freelance writing. I quickly added coaching to the mix as well. When work got to be too much, I dropped coaching and focused on my client work and creating a course for freelance writers. I then added affiliate marketing. And from there I started a new blog, Twins Mommy! And I’m doing it all over again! Instead of starting a service, I am doing affiliate marketing and I created a course (and I’m working on another). So, can you see the pattern? I’m not just a freelance writer, but also a course creator and affiliate marketer! I’m building a business for myself by creating multiple streams of income ensuring that I make money every day. If you have an Etsy shop or an eBook, consider creating another product or sign up for affiliate programs. Is email on the back burner of your focus? For a lot of new bloggers, email is the last thing to think about. You are still learning WordPress, Pinterest, Instagram and blogging! Well, once you can breathe for a little bit, start thinking about starting an email list. Your email list is the best way to create income for your blog. By having an email list, you create a relationship with your subscribers that’s much different than the visitors that comment on your blog. And when you invest in your subscribers, they invest in you. If you’re new to emailing, I suggest you try MailChimp. It’s free to use for up to 2000 subscribers and you can do automations like send out a free email course to help you grow your list. When you start an email list consider how often you want to notify your list and what type of content you want to send your list. If you’re having trouble with what to send, check out my post, 8 Emails You Can Send That Aren’t Your Latest Blog Post. 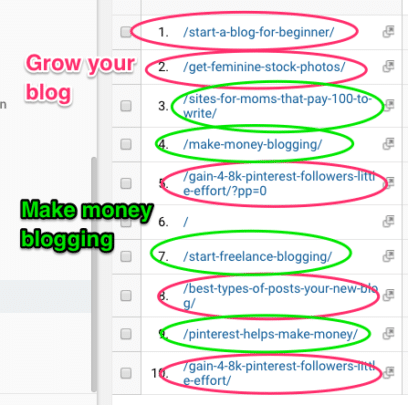 So, here’s the thing, you can do all of these things, but to really monetize your blog, you need targeted traffic. This is traffic that comes to your blog, reads your content and is hooked. They sign up your list, follow you on social media and become a raving fan that will buy from you. 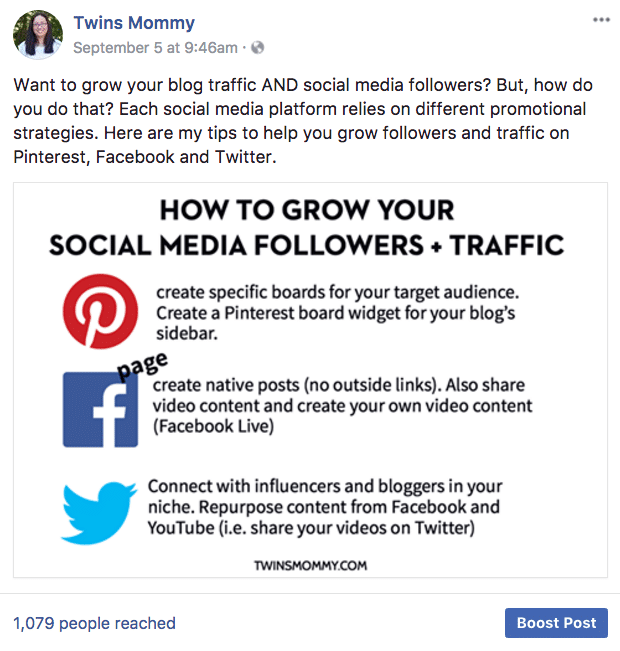 You need traffic to send people to your affiliate type of posts. Right now, one of my affiliate posts is my #1 post. This post helps me make money every day. But, how do you do this? How do you boost your traffic to your new blog? The one thing I suggest is to focus on your content and make it more engaging. Have those hooks in the headline and introduction. Create engaging posts that people HAVE to click on. And make each of those posts full of valuable tips to help solve a problem. When you do this, the traffic will come. Tell me what first thing you’re going to do to make more money for your blog in the comments! I want to hear from you! As always great tips Elna. My email list is almost nonexistent and I know I need to focus on creating a few lead magnets and actually emailing my subscribers *scary*! Being in the money (making/saving) niche is still very new to me, but when I make the time I would love to do some FB live videos. Thanks for the great information, Elna! This is the best post I’ve found to help me figure out what I truly need to focus on as a new blogger. I have so much to learn yet. I will be reading more posts of yours for more inspiration! Hi! I just started a blog, so I just began reading your posts. You’ve been so helpful! I started following an eating plan. It was difficult at first but I’ve gotten the hang of it. So I’m writing a cookbook to help others. I’m going to advertise this on my blog. That’s a great idea! Congrats on starting a blog and finding a method of monetizing it! Thank you for the tips on how to use/understand Google Analytics! Very helpful to me!! Oh I have so far to go and so much to learn! There will never be enough hours in the day! Your posts are always so great and informative with fantastic tips! Thanks Elna. Take 20 minutes every day to plan and if you have more time, to write! Break it down as much as you can! Good luck! No.4 was spot on, for me! Exactly how I feel right now. Everything is new and overwhelming but I know it’s one of the things I have -and want- to do. Keep the good stuff coming, Elna! Thank you for the awesome content, every time! Such Great Info! Blogging and freelancing is always a learning experience and its always good to get new recourses to help you be successful! Thanks so much for stopping by! Yes, blogging and freelancing go hand-in-hand. I love freelance writing and blogging too! I write about digital marketing for my clients and then I can do DO digital marketing for my blogs! My “why” has completely changed since I first started blogging also. 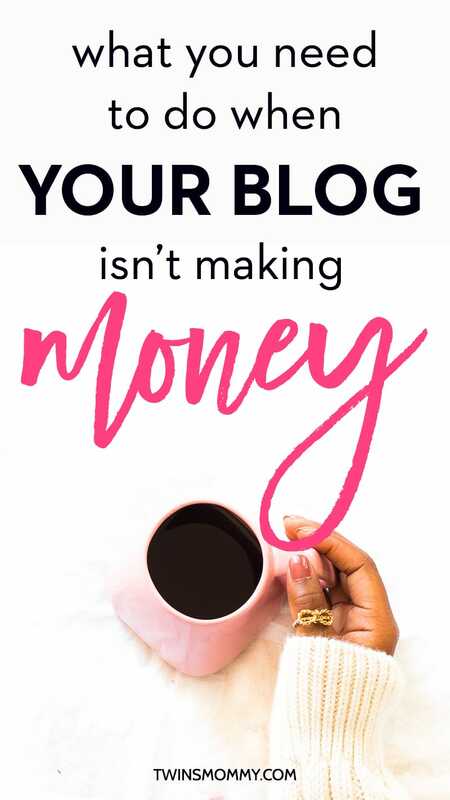 It took 2 years for me to finally decided how I’d monetize my blog because I started it as a hobby and there were SO many ways to make money online when I began searching on how to monetize it. I used to avoid email marketing as much as I could, but it’s been very beneficial since starting and I wish I started sooner, but you live and learn, right? Right now, I’m offering coaching services, but I’m also working on an eBook and considering doing a course later on for passive income. Thanks for a great post as usual and I’ll be sharing this! Yes, the why is important. I’ve seen you pivot and like what you’re doing now! Keep it up! Awesome post, Elna, as always! I’m working on diversifying my income more – once I launch my e-course I hope to focus more on passive income. I’m still working on affiliate marketing – I just don’t seem to get regular income this way, it’s sporadic. I do make money from it, but like I said, it’s not every day. The majority of my income is still from freelancing (and from a few other services I’ve been offering, like WordPress site startups – which I don’t advertise, as I’m moving away from it). Shared and tweeted. 🙂 Love when you have a new post out! I LOVE LOVE LOVE your blog and FB group! Can’t wait to see your eCourse! I’m crossing my fingers my MailChimp course is done THIS WEEK! That’s a far cry from wanting it to be done mid-August!! Twins, sickness, and school got in the way! And oh I get you! It’s been one fundraiser after another at my daughter’s school, plus her not wanting to go some days, as we do car pooling and she cries every.single.time. she has to ride with other parents. I’m having a hard time keeping up with content on my blog – but posting this week and making it a priority to post once per week. My freelance writing biz is taking up 100% of my time (plus my e-course), but I’m hoping to continue to up my rates now that I have a year under my belt (well 6 months of hard work on my freelance writing). So I can work less instead of having to write 5 articles at least a week for my one client which is an SEO company. Regardless, I envy how you seem to keep it all together and post consistantly PLUS run a freelance biz AND raise twins! 🙁 I feel for you and your daughter. She’s soo cute! This morning my kids DID not cry! I feel so relieved and have no looming feeling like I did all day yesterday while they were at school! I can breathe and write! Oh, please don’t envy me! It’s a lot on my plate and I’m working hard but I do get DISTRACTED way too much and then have to scramble. I guess writing comes easily to me so I can whip out a post or two in a day! You have great content on your blog and I’m sure your samples represent that so raise your rates for sure! As for me, freelancing isn’t a huge part anymore for me. Course creation and content for my blogs are. I have big plans in Q4 with my husband, but we just have to get this course out firs and then I’m on to a new course to write for and video for! ha..
Love your tip on diversifying your income. I actually have 5+ income streams – and all of them weave their way into my blog! It’s been the best way for monetising my site. I think that when you put your egg in different baskets, it doesn’t feel as pressured, either. Thank you, I needed this today, so much good info! Thanks for sharing us these wonderful post! Been a blogger for quite some time now as well and truth be told, my site isn’t earning that much but it’s not a problem for me. My main reason for blogging is to express my opinions and share my travels with interested viewers and making money on my site is just an option for me. Anyways, keep up the great work! You know your WHY and that’s important. For many bloggers, it’s the expression and passion of writing and sharing their experiences. Thanks for coming to my blog!